For years, some federal lawmakers have looked incredulously at the ever-growing — and in some cases multibillion-dollar — endowments amassed by some of the nation's wealthiest colleges. Until now, those endowments have remained tax-exempt. But that appears likely to change under the tax proposal backed by President Trump and congressional Republicans. The most recent plan endorsed by the Senate would impose a 1.4 percent tax on investment earnings from endowments at private universities with more than 500 students and endowments greater than $500,000 per student. Public colleges would not be affected. Locally, Swarthmore College, Princeton University, and likely Bryn Mawr College and the University of Pennsylvania would be among more than 30 private colleges nationwide required to pay. For Penn, where the endowment tops $12 billion, the tab could reach about $12 million annually. For a smaller college of 1,600 students, Swarthmore, the new tax could cost about $2 million. The college, which operates on a $163 million budget, would have to make that up. Colleges have resisted such taxes for years, arguing that their endowments are made up of private contributions, much of it restricted by the donors for certain purposes. They use endowment revenue to offset the growing costs of college, supply students with generous financial aid and pay for certain faculty positions, student research opportunities and academic programs. And yet, the cost of attending colleges and universities has continued to climb. Local and national higher education leaders have lambasted the tax plan as a short-sighted money grab and attempt to fund corporate tax cuts. It also could open the door for other levels of government to seek tax revenue from endowments, they fear, and could be expanded in future years to affect more colleges. "We think this is an ominous precedent," said Terry W. Hartle, senior vice president at the American Council on Education, a Washington-based higher education policy group. "We find it deeply troubling." Colleges, he said, as a result will have less money for student financial aid, research and instruction. But Republican lawmakers who support the plan say the new tax is necessary to achieve tax cuts in other areas— including doubling the standard deduction and increasing the child tax credit for millions of working-class and middle income people — and that it is similar to the levy on private foundations, which pay an excise tax on gains from investing. Universities could avoid the tax by spending down their endowments to get under the threshold, said Steve Kelly, press secretary for Pennsylvania U.S. Sen. Patrick Toomey, a Republican. "Schools with large endowments could, among other things, use their endowments to provide additional aid to students, increase grant funding for researchers, or improve campus facilities," Kelly said. 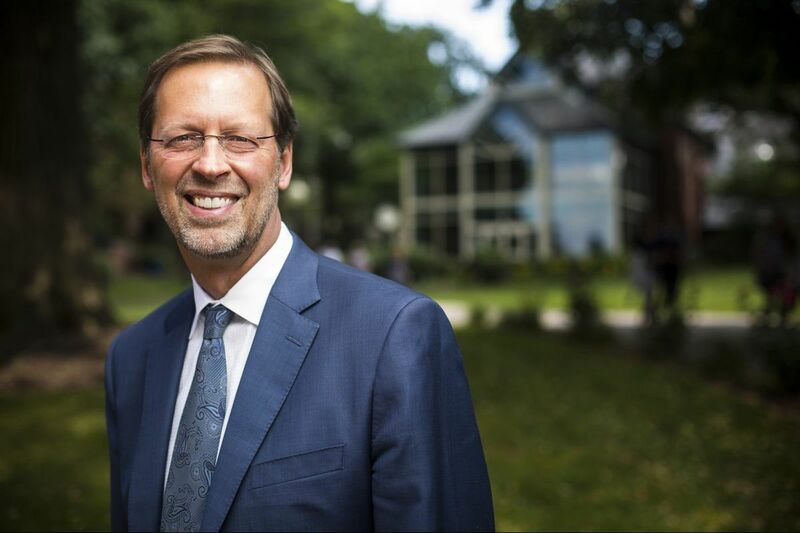 That suggestion wasn't received well by Greg Brown, vice president for finance and administration at Swarthmore, where the endowment stands at $1.9 billion, or a little over $1 million per student. "That sort of speaks to a lack of understanding of how higher education finance works," he said. "It probably costs $100,000 per student to educate them here, but we don't charge them that much. The endowment is making up that difference. We're very fortunate to have that, and we're trying to be the best stewards we can of it." Tuition, fees and room and board at Swarthmore near $66,000 annually. Princeton also emphasized the importance of its endowment revenue. "Princeton relies on its endowment to cover more than half of its operating budget and to provide financial aid to more than 60 percent of its students," the school said in a statement. At Bryn Mawr, endowment proceeds cover a third of the operating budget. "The college awarded $31.8 million in financial aid last year, much of that money came from endowment proceeds," said Kim Cassidy, president of the women's college on the Main Line. Cassidy estimates the tax would cost Bryn Mawr about $500,000 a year. She's not sure how the college would cover it. "Financial aid and support for our academic programs will be the last places we go, because of our commitment to academic excellence and access," she said. "But all of the targeted schools would need to consider cuts." It's unclear what form the tax will finally take when negotiations are complete, but officials on all sides indicated they expect it to be enacted. The House version of the proposal included a lower threshold — universities with endowments greater than $250,000 per student. If that proposal were approved, Haverford College on the Main Line and Lafayette College in Easton, Pa., also would be required to pay. Kimberly W. Benston, president of Haverford, said he's concerned whether Haverford falls under the tax or not. "The tax in itself suggests that Congress no longer understands or embraces the idea of higher education as a socially beneficial 'good' that we want to make available to as many people as possible in as many robust forms as possible," he said. An earlier House version had an even lower threshold of $100,000 per student that would have added a handful of other local colleges, including Franklin and Marshall in Lancaster. "The precedent itself opens the door to a money grab of privately raised funds that support the educational mission of nonprofit institutions," said Daniel R. Porterfield, president of Franklin and Marshall College. "That's not right. It's not smart, and it's not American." If F&M had qualified, the tax would have cost about $550,000 annually or the equivalent of 10 full-tuition scholarships to the school, he said. "We would have needed to adjust our budget in other ways or perhaps simply enroll fewer higher-achieving lower-income students, which hurts the education of every student," he said. Some schools also may resort to tuition increases to pay for the tax, said Joni E. Finney, director of the Institute for Research on Higher Education at Penn. "That further exacerbates the problem we are trying to address," Finney said. Colleges, however, are partly to blame for not doing more to control costs when they had the chance, she said. "We have to begin to really understand the public perception on paying for college and how students and families are hurting," she said. "They see these big endowments. They see construction booming on these campuses, and they really raise questions about how higher education is using its resources." About a decade ago, Iowa Sen. Charles Grassley, a Republican, led attempts to try to force colleges to spend more of their endowments to relieve the financial burden on families. But then the stock market plunged, as did the value of endowments. In recent years, the numbers have been rising again. "Now, I think we are going to be stuck with a worst-case scenario," Finney said, "taxing these endowments and not having that tax benefit any students." Colleges also are concerned that other proposals in the tax bill could impact donor giving, including raising the standard deduction, which could cause fewer people to itemize and discourage smaller gifts, said Brown, of Swarthmore. Moody's Investor Services this month changed its outlook on the higher education sector to negative, citing potential tax changes as one reason. "It all adds up," Brown said.